← Americans, What Would You Do if the CPS Shows Up at Your Door? Norwegian and Romanian news sites are reporting today that prosecutors in Norway are indicting Marius and Ruth Bodnariu for violence against their children which could potentially lead to prison terms. It is hard to believe that the Norwegian government is allowing this to go on given the terrible exposure Norway has received abroad for violating human rights through the actions of their CPS (Barnevernet). This is normal procedure in Norway when it comes to policereports and criminal cases. This is the public prosecutor who has decided,not the Cps. Prosecutors are required by law to bring criminal cases to court where there is imminent evidence that a criminal offense has been made. It does not mean they are going to be sentenced to prison,maybe a fine or communityservice.-Lets hope. My guess is the same as you – some weeks with community service. When parents have admitted to acting with violence it’s not right to pretend there is no case. I think the parents have understood now and are ready to cooperate – take the help they need and get peace into their daily family life. No, they are just doing their job. But what do you think is the best for the children? Isn`t it best to leave them in peace now and offer them help to grow as a family instead of punishment? In my opinion, what they have been going through since last winter has been draining enough. If you want to make good parents, the last thing you want to do is to psychologically drain them so much till they get a burn out and don`t have any strength left to handle their children. don`t you think so too? The “normal procedure” is becoming more and more reflective of a process that just won’t leave people alone, Topsy. How there is a possibility of prison for anyone in this case is incomprehensible. Many are going to be startled to hear this “normal” news. I will agree to that,Chris. We have an ongoing dicussion in Norway about our legal system rigth now, so i guess it is the year where we are slowly changing things. Is there a place where this discussion can be viewed by the public? For it to be a good discussion, one that will satisfy all concerned, there should be transparency. This is one of the major issues, besides decisions that are unnatural and very destructive to many families. I have asked you to be transparent before because you seem to speak for the Barnevernet. I would think you would be honest and let us know who you are. It is not a major detail, but it is symbolic of the problem I’ve mentioned. Will you answer this question for me? How do you seem to know so much about this issue? What I am concerned about is: when should we believe kids? When they are taken from the parents? Before? After? In this case it appears that the children have been taken seriously. That means they have been through visits to hospital and Children’s House and etc.-where they have talked about what they have experienced and furthermore and : specialists from the police have recommended CPS to remove the child/children. So who should we believe: Cps, police, police specialists, kindergarden, the school, family, friends etc? Or just the kids? What would you have done? And Chris,as mentioned before:i am just an old lady,widower, and i spend my time learning and reading on internett. I either missed or forgot your comment about this before, topsy. Thank you for sharing this information with me. Your questions are good ones and bring up so many other questions. If you are asking me about the Bodnariu case, I would have done nothing. The children were generally happy, they had no signs of abuse mentally or physically as far as I know. Yet, two of them were taken from school without parental notification. Then, the other three were taken. Then, the parents were trusted with the baby and not the older children. Then, the children were finally returned. There were varying amounts of time between each of these events which completely disrupted anything close to normal family routines. Now, there is a possibility that the parents will be removed from the parents. There is the possibility that the parents will go to jail. What will happen to the children? Will they be split into five different foster homes as the Barnevernet wanted before a decision for reunification was made? Besides nothing to them, if I had the power, I would make the Norwegian government generally and the Norwegian Barnevernet specifically apologize for disrupting a family that was living a good life together. This would be done during a press conference with the Bodnariu family there if possible. The apologies would be extended also to the employers of Marius and Ruth Bodnariu as I’m sure their work life was disrupted by the over-actions of the Barnevernet. There would be reparations of some type most certainly. The reparations would be offered in different ways. What would be equivalent to the amount of family time missed, stress caused, and financial expenses depleted? It would have to be worked out with employers but the Norwegian government should have to pay for some vacation time to wherever the family wanted to go. Maybe this is being done now. Maybe some of the trip to Romania is being paid for by the Barnevernet. Then there would have to be a settlement of some type. Some or all of it should be financial as costs have been incurred. There may be some different way that the family wishes satisfaction in a fair manner. Hmmm… Chris. I think the family is on the right peaceful place if they stay close and have all the broader natural family around. This family needs peace and maybe reorganization. Travelling aboad with a functionate family is recommendable, but not with a family that might be more in a crisis that we like to think. To be parents for a family with 5 children might be both challenging and take a lot of efforts. We have seen these 5 children on photo and posters for a while. We have been given an impression that this was and is a functionate family according to the still pictures. When I saw a video clip from their trip to Romania this summer I had my private thoughts – or – what about you? Knut, my impression after watching this video clip was that these are lively, creative kids, very similar to our kids when they were little. I can very well remember how impressed I was watching a family with 10 kids or so, sitting very quietly and well- behaved in the front row in church when my kids were little. I used to tell people that our 4 kids are like having more than 10 kids together. It was a real challenge to make them sit quietly. I guess they have it from their dad. He used to be an active kid and is still full of action whereas I am the quiet one. The family with 10 kids left our church. But I met the father many years later. He could tell me that some of their children were unfortunately having big problems. My children, on the other hand, have turned into very fine creative outgoing young adults with lots of friends. They have fortunately also slowed down a bit. So you have to understand, Knut, that children are different. Just because some children find it harder to sit still doesn’t mean that their parents are doing something wrong. They can be challenging when they are little, but can turn into a huge blessing to many people later on in life with all their creative ideas and liveliness. I have seen this video before and I think it was on rodi’s blog, the same place that you linked to. I have the exact same general impression that Hildi had about the video. Hildi makes very good points, I think, about the nature of families. I can’t remember, Knut. Have you had your own children? Whether a family has one or 10 children, it is always a challenge to some degree. Some children are more of a challenge than others. Good parents love their children in spite of any challenges the children may be. I had no negative reaction the first time I saw this video and it was no different the second time. My mom used to say I had “ants in my pants” at times when I was a kid. I was calmer than most in my opinion but there were times when, for whatever reason, I acted like all kids do at times – a little tired, bored, mischievous, or curious. Thus, the description of the imaginary “ants in my pants” could be quite accurate. I will never forget my childhood years when my family walked into church and up to the third or fourth pew from the front on the right side just below the pulpit. One year, the children my parents were caring for were between 13 and 4 years of age and there were six of us. As the oldest, I helped “keep the peace” some, and the youngest was always positioned nearest my Mom. If there was some type of behavioral problem with any child, that child was moved next to my Father. This was a rare occasion as we had been taught to act a certain way in church. We knew we would be in trouble later if we acted out. Since we attended church nearly every week, it became routine for us. Everyone settled in and before any of us knew how important a sermon was, we considered ourselves almost “home free” when it was over. Interestingly, I don’t recall ever getting a spanking from my Father, but my Mom was not afraid to spank in way that we never considered ourselves “abused.” I could count the number of times I was spanked on two hands. We behaved for the most part but we certainly weren’t perfect and there were times we had “ants in our pants” for which we were never spanked. All of us have turned out to be good citizens and I think my parents did the best they could. In fact, I think my parents did better than most. I am fortunate. As someone who spends a great deal of time around children, I find this video completely natural and normal in every way. I could almost give you a detailed account of the behavior of the children in this video and I don’t even spend a great deal of time around children this young. Any teacher of younger grades that is worth their salt could do a much better job than I. The context would be even more helpful in determining the “peace” of the family in this video. We were just regular kids like the kids I see in this video. You’ve been dumbed down to believe that. The rich pedophiles have lost face, so now they are trying to save it by sending the cops after them. After all the cops are owned by the filthy rich oilers in norway. In any western country police is theoretically meant to prosecute any “illegality”. I’d like to see police chase those in high positions for pedophilia. The real name of Topsy might very well be Dorota Malgorzata…! As for mr. Nygaard, as I know him and his job, he might be very well the guy who, at barnevernet request, suggested the police to sue Bodnariu family for violence. Backstabbing indeed! The Stalin”s ultimate pleasure! That would be very sad, indeed. I would hope not as Knut showed some sympathy toward the Bodnariu family during this process, even wrote a letter to Naustdal municipality favoring Bodnariu. So you are implementing a innocent person into this blogg. NO,i am not Dorota Malgorzata! After googling her; i bow my head in respect! Shortly;i am a elderly woman and i have been married to a leader of the Cps for many years. Although this was expected, it is still a major disappointemnt as to how Norway persecutes parents. May God finish the work He has started with this family! Yes, nothing has changed here. Barnevernet is getting stronger and more efficient in removing children from its homes and parents than ever. They will not learn from their mistakes, not this time eighter, as they do not see their own mistakes at all, just sees themselves as children-savers – in the name of justice for children rights. This is the police,not the Cps in Naustdal. The Cps has nothing to do with this now. Everyone in Norway, especially those working in the public sector, are by the law demanded to report offenses, if not;they risk imprisonment for 1 year if the further development went bad. It is very interesting that the police is doing it now, after all this time, isn’t it? They had plenty of time before and we heard nothing about it. But right after an agreement with BV, the police started to “do its work”. Yeah. Of course, the prosecuters did not have to indict the parents for violance. But they decided to. It is correct, there is a new law against violence in Norway, but I think light spanking as a form of diciline is not violence. It is, however, several years since it was specified particularly, Muireann, that any little slap or unfriendly touch or pulling in the ear IS violence in the sense of the law. One can be against that and criticise it, but then one will have to argue to have the law, or the confirmed implementation of it, changed. e)	noen i sin omsorg. How do you know it is LIGHT SPANKING? Testimony of the parents, which I believe over anything BV workers in Naustdal are saying. That is because BV in Naustdal has proven dishonest in this case. As I have understood from the defence reading of some documents by Mr. Costea the daughters had spoken of incidents and situations that the parents – especially the father found he could not confirm. What incidents and situations they were we might be told all about or just given some examples. It’s the daugheters word against the parents on some parts – other are agreed to as done. Is there a recording? a word by word protocol? Were there no leading questions beyond any reasonable doubt? let me spank you with some light, because your in the dark blind, and naked, a slave of wicked thinking, imprisoned by your heart of stone, wich you try to use to comforth on..but u dont have rest. You would say that Jesus himself declared the war when he threw the monymakers out of His Fathers house, Ow how your fake peace is disturbt when you meet the truth. may it cost a broken haert, May you delight in The truth. May you find Christ. When you defend sin you defend the devil- Its war against God. Seek Him while He still is to be found..
sober judgment, common sense, minimal level of merciness = protection of sin? In this case Jesus himself had protected sin… think about the first one to throw the stone? How do you know it was MORE than light spanking? As far as I understand, the burden to prove is on the accusation side in democracies. Referring the mother´s lawyer, Topsy, that is how I know. Ruth has admitted this fact. The Norwegians claim that they follow what’s in the best interest of the children. In this case the kids are happy reunited with the parents and it would be insane to say that the best interest of the children is to put their parents in jail. – click into the statement from the government (it’s in English) in the last posting in the thread especially). Norway is just aching to use the Hague convention to have children transported back. Still: What is light spanking too you all? Is it painfull? Is it every day? Is it now and than? Does it leave marks? How does it feel?Are yoy afraid of it? Does it happen when you think you deserve it? Is it common in your environment disregarded from your law? And so on…. Most important: Is it leagal where you live? And then, when one considers the disproportionate reaction on the side of BV, it makes one realize how insane the system is. Knut Nygaard who works in BV has said that the Naustdal response was overreaching and way too aggressive. And now the criminal justice system is doing the same thing. Trying to swat a fly with a nuclear rocket. Are you a mother ? As a child has YOUR mother/father ever spanked you?? For goodness sake …. I guess it was legal in Norway as well, perhaps in your childhood. I am an old mum, and yes, I did spank, LIGHTLY, my children occasionnaly, especially when they did something dangerous. I never encountered tantrums, no big problems, and they never raised the voice to me, as their children do now. Not spanked of course: times changed! I still think the Norwegian way of treating the problems of children’s education lacks insight, and becomes harmful as long as the Bvet personnel do not discern real violence and abuse from what is not. What happened to this family is terrible. Put yourself in their shoes, and try some empathy. Is it legal to park where there is a parking prohibited sign? Of course not. Do you need to take custody of the car in such a case or immediately revoke the driving license? Of course not. In case of children the story is worse because removing a child from parents and siblings tramatizes the child as well. My bible tells me to discipline my children, which can in some circumstances include smacking, and I am sure glad I am not living in Norway! The problem is most people have been so thoroughly brainwashed into the socialist mindset, they have lost their common sense. Lets not just focus on the physical, now mere words that offend someone’s sensibilities can be deemed to be a form of violence. You need to ask God to give you His perspective. The Norwegian government would NEVER step in here. It would be a signal that the whole CPS system would fall, because the Bodnariu case is just one among several thousands of cases which have been just the same, and where every authority on every level has declared that “We cannot interfere in individual cases”. Of course Barnevernet, Naustdal municipality, and everyone who supports Barnevernet, love this and see it as a confirmation that they are right and all the protesters are wrong. In that sense they probably feel relief at this ‘revenge’. The people at the public prosecutor’s office, though, are not particularly revengeful, they are forever concerned to run cases in the way they always do, so that no-one can ‘disturb’ the legal system and no-one can accuse them of partiality. The Bodnarius are just treated the same as everybody else. No! It is not hard to believe at all. The authorities genuinely believe that THEY are persecuted for acting ‘in children’s best interest’ in the best system in the whole world! Most Norwegians (some of us excepted) and our authorities do not consider it shameful. They consider themselves and Barnevernet’s employees wonderfully insightful and martyrs. Nor did the Nazis feel ashamed of what they did in the concentration camps, because their intention had been the glorious one of saving Germany for a glorious future. I understand, Marianne. I am making those statements from the point of view of a reasonable outsider trying to perhaps influence the thinking of a govt official who may end up on this site. My mouth waters at the idea of such a govt official …. I should dearly like to see one, one who not only thought clearly on such matters but who also straightened his/her back and did and said the madness has to stop. Norwegins = (edited…..) with airs of civilized human beings. They should be banned from entering any country, be be totally isolated and left to live in their horrible system. Norway is a beautiful land; too bad it is inhabited by its people. The system is bad. The people of Norway are just intimidated and do not speak up against this injustice. The system has been created and is sustained by Norwegians. A bad system created by bad people. A death system worshipped by death People..
First our Cps are bad than our legal system and now: people of Norway are stupid idiots who made this system. At least we do not have any Trump-yet. Indeed, no Trump in Norway, although you would so need one. What you don’t understand is that it’s all connected. The legal system along with CPS would not exist without low-moral (or should I try “no-moral”) people. You desperately need a “Trump” to build walls all around – not to protect you, but the whole world from you. Stop defending what is entirely rotten. Change your minds! Be normal! …then talk. Thank you (?) for judging my moral as a norwegian cps victim as very low, or not existing, and my people as a bad people. Who are you to judge others morals, laws and righteousness? Do you think you are God? This is a christian blog, so in LIGHT of that I would consider your judgements extremistic, evil and low in morals! And what country are you from btw? Why do you hate norwegians as a people, how many of us have you actually talked to in person, and heard our stories? Things are more complicated in real life than just black & white, Good or bad – as you see it. Everything in life is somewhere in between. Gray, if you will. Different shades..
Also on our legal system, laws, cps and people, but it certainly do not give you the right to call me low in morals and judge my people and so on! Norwegians are a peace loving, human rights fighting people with good hearts, in general. This is reflected in our strict children-laws for instance, as children are viewed as our most vulnerable inhabitants. Our morals and standard for children are in fact too high, too strict I would argue. Too much peace, love, moral and human rights even. So high that we put parents in prison for a slap. Not lack of moral, too much rather. So, Topsy, I hope the ongoing discussion you mentioned earlier about our legal system will consider the “too much morals, too high standard in viewing what’s best for the child, the too strict laws perhaps (?) and so on, to be a bit over the top. Slap vs. prison is too much, or am I wrong? Better still, is to teach parents during pregnancy which behaviour from parents are seen as criminal and why, and the consequenses breaking this laws. More psychological, pedagogical education for rising the standards of parenting, how about that. Prevention insted of just consentrate on punishments. This way we would spare many children and parents the agony of such traumatic cases as the B’s. Topsy, I agree with you on the false generalization by some commenter above, on all Norwegian people. Trine, by your words, you are simply digging your hole deeper. Do you really believe that the problem in Norway is the standard of morality being too high? That is indeed laughable! Are you outraged about my telling the truth? Understandable! But the truth remains regardless of your feelings about it. There aren’t any grey areas, as any shade of grey is in fact the presence of black. And your black (not grey) system affects not only Norwegians, but many other nations. Now you understand my anger? Your self-proclaimed “best system in the world” is in fact a monster that is pitch black and you refuse to destroy it because of your pride and low-moral thinking that calls it grey. Who gives me the right to judge? I was born with that right. Judging is thinking, weighing, categorizing, discerning, educating, choosing, and exposing. Your fear is of being exposed. And Norway is and will be exposed, and your stubbornness as a people will only show the whole world who you have been all along despite the makeup you so skillfully have put on your rotted self. And this is not hatred on my part – it’s anger because this is affecting innocent people from various nations and you… you have time to philosophize about it on and on, putting more makeup over filth, rater than standing up for the truth, calling the black, black, destroying the evil, repenting as a nation, admitting what you have done and hoping that God will forgive you. Don’t expect sympathy from us after you destroy our families, our children, our values. Isolation is what you deserve as a people, not sympathy, nor understanding! … Father forgive them for they dont know what they do.. The truth confronts… don aspect good works from death people.. My house shall be called a house of prayer..
Lala, you did not tell us if you ever talked to norwegians, hear our stories and our fight, if you have been here, or where you live/ are from! And I tell you again; you have no right judging me, in your latest outrage you put my name first and writes alot of negative (edit….). And the rest of the readers are silent.. silence is agreeing. Well, thank you for putting me down, that’s exactly what I needed as a “poor” single mother, right? Because you were born with this right you say. I wonder how you were raised, trampling down all the people around you.. How did that work for you? How much do you realy know the situation in norway on the cps level, and all the norwegian people, in shades from white to black, with mostly grey in between. -Delight, you accept this description on me, my people and country in your blog – and you don’t say a word? -Marianne, a norwegian yourself: silent, why? You only answer chris or jasper, and the rest of us you ignore? Lala, I have been a victim for more than 15 years of terror from barnevernet, and I still have my children, though it costed me not to have time/ energy to study or work – it’s been a job almost 24/7 to fight the evil system, and you call me low in moral, bad, rotten, digging my hole deeper, laughable, telling me my opinions and feelings are wrong? Wtf! And this way you contribute in our fight for the stubborn/evil barnevern system in norway to change? Come here and meet me, hear my story, then judge me! Tell us why all this anger is in your heart & you spread it out to the world, also personally to me, putting me down. You say you are born with that right? I’ll check my bible, just a second..NO, It says you should love. What love are you sharing Lala, so that the world might be a better place? Your words here last 24 hours are full of hate and judgements, and you want me to respect your opinions, and get uplifted to continue my fight, or you want to put my light out? You cannot blame Norwegians as a people for this, Lala Lupsy. Just as Norway has a dysfunctional child protection system, other countries suffer under other dysfunctional systems. It is not nice the way you write Lala Lupsy. Remember, there are Norwegians who happen to be in a situation where they are picked out to become victims of the Norwegian CPS and suffer accordingly. Many Norwegians are unaware or naive not understanding how dysfunctional the system is. Others are afraid to speak out because they are afraid they could become the next victims. In my case, I am not afraid to speak out because I live abroad, have a double citizenship (Norwegian and Swiss) and my children are more or less grown up. But I am very much aware of the fact that if I was living with my family in Norway, and if my children were young, we might very likely also have become Barnevernet- victims. And your point was – you have nothing to comment other than attacking the person – not the comments? Threats of violence have no place in this discussion, Paul. Comments like yours help no one. They only give the impression that one can’t make a decent contribution to a discussion. Bodnariu family, don’t be crazy to go back to Norway, leave that cursed country for good! Totally agree! You got your kids back – leave this country. actually “ro” in Norwegian means like peace and rest.. try Google translate on : “you have rest and Peace”. from English to Norwegian.! Criminal cases in Norway are on principle open, open to the public and the press, open to be reported on. The judgments too are openly accessible. This openness is a safe-guard for the Bodnarius. It makes it difficult for the authorities to act in a criminal case in the outrageous way they do in a Barnevern case. The Bodnarius, though, cannot rely on Norwegian newspapers or journalists. They and their helpers should try to have as many press/media people from abroad, with a proficiency in some Scandinavian language, report from the case. What on earth goes in the minds of those who have decided to make the Bodnariu family go through yet another nightmare? Haven`t they gone through enough yet? Don`t they understand how draining it is for the parents? Don`t they understand that the children need strong loving parents now to provide trust and stability for them? How can this happen if they are again taken through such a draining process? I cannot see how this can be in the best interest for the children. It has been a long time since anything has been written here on this blog. It is Summer holiday time, and most people, including myself, have other things to do. Nevertheless, all the lovely families which have become victims of a very dysfunctional child protection service system in Norway have been on my mind all the time. My heart breaks when I think of what they are going through. It is simply ridiculous what is going on! It is still hard to believe for me, as a Norwegian, that something like this is going on in the country I come from. We cannot afford that the system destroys families! We have to keep on fighting against injustice! And I tell you again; you have no right judging me, in your latest outrage you put my name first and writes alot of negative (edited….). And the rest of the readers are silent.. silence is agreeing. -DELIGHT IN TRUTH, you accept this description on me, my people and country in your blog – and you don’t say a word? Lala, I have been a miraculously survivor for more than 15 years in spite of terror from barnevernet, and I still have my children, our home, though it costed me alot to fight the evil system, and you call me low in moral, bad, rotten, digging my hole deeper, laughable, telling me my opinions and feelings are wrong? Wtf! And this way you seriously feel you contribute in our fight for human rights against the stubborn/evil barnevern system in norway to change? Come here and meet me, hear my story, then judge me and put me down, if you still feel it’s deserved! Tell us why all this anger is in your heart & you spread it out to the world, also personally to me, putting me, my people and country down. You say you are born with that right? I’ll check my bible, just a second..NO, It says you should love. Are you a believer? Then what love are you sharing Lala, so that the world might be a better place? Your words here last 24 hours are full of hate and judgements, and you want me to respect your opinions, and get uplifted to continue our fight, or you want to put my/ our lights out? Don`t listen to Lala, Trine. It is insulting and not true what this person is writing. It breaks my heart to hear about what you have had to go through with Barnevernet. I am glad you could keep your children. But, as you said, it cost you a lot of time, energy etc. I am thinking about all those parents who didn`t have the strength to fight or who fought in vain and have lost their children injustly. Nobody deserves this! Even if it was just one case in Norway where somebody had lost their children injustly, it would be worth fighting. I believe it is a serious offence to forcefully take someones children unless there is any serious neglect or abuse . In the past half year,we have come to know many lovely families through this and other media sites who have so unjustly had their children taken away. Some, like in Natasha and Eriks case have even had their children taken away just after birth. Fortunately, they got them back. But they had to flee the country again to keep them. I am amazed to see and hear Natasha, how loving, caring and mature she is. So perfectly normal! When I write this, I wonder if it even is true or is it just a bad dream…. It must feel so intimidating! Never forget Trine; You are very precious and you are the best mother for your children! I see Trine Ophaug has a complaint against me here. I am sorry if you find it harsh, Trine, but it is impossible for me to accept any duty to be present regularly on blogs and answer questions or – as in this case – defend people. I write on the internet primarily to give information which hopefully can be of use to some readers. I cannot enter into “friendship” groups of the kind I hear reports saying spend a lot of time on facebook, where they also apparently exclude each other and denigrate each other around the clock. Myself, when I fight on the internet it is in order to try to bring some factual information, not to engage my feelings in being friends/enemies. One of the advantages of writing on open debates, like this one DiT puts at people’s disposal, I find to be the possibility of commenting on something without necessarily going into everything or even reading every comment posted by others. I certainly do not read everything, Trine, I haven’t enough time! Nor can I account for any plan of which comments from other people I “answer”. So I must ask you to accept my sigh: I cannot very well spend more time than I do on Barnevern questions. When we write publicly, we must stand criticism and opposition, ridicule, contempt. That is the price for having this very essential gift: the right to free speech. Lala, you did not tell us if you ever talked to norwegians, hear our stories and our fight, if you have been here, or where you live/ are from! You have no right judging Trine, in your latest outrage you put her name first and writes alot of negative (edited….). And the rest of the readers are silent.. silence is agreeing. Shame on you all. Putting down victims of the system is not the way to go. Because you were born with this right you say. I wonder how you were raised, trampling down all the people around you.. How did that work for you? How much do you really know the situation in norway on the cps level, and all the norwegian people, in shades from white to black, which means also grey in between, or don’t you understand that simple picture? Do you seriously mean that in your country everybody is white/ purely good? That’s ridiculously naïve, at best.. I and Trine also have the right for opinions, not just you! This is my opinion, and I will not accept personal attacs on me or Trine or any others just for being a norwegian. And all the rest of you here, scholars and so on.. you agree with Lala’s lunatic outbursts?? You all accept Lala’s evil words?! -DELIGHT IN TRUTH, you accept this description on Trine, her people and country in your Christian blog – and you don’t say a word? -MARIANNE, a norwegian yourself: silent when Trine is put down, why? You only answer chris or jasper, and the rest of them you ignore? Lala, Trine has been a miraculously survivor for more than 15 years in spite of terror from barnevernet, I know her story; and she still has her children, their home, though it costed her alot to fight the evil system, and you call her low in moral, bad, rotten, digging my hole deeper, laughable, telling me my opinions and feelings are wrong? Wtf! And this way you seriously feel you contribute in our fight for human rights against the stubborn/evil barnevern system in norway to change? Come here and meet the mothers, hear their story, then judge her/ them and put her/ them down, if you still feel it’s your right to judge them personally! Can it be a spiritual war, and not the people that are evil? Tell us why all this anger is in your heart & you spread it out to the world, also personally on mothers fighting the system with all their might, putting herself, her people and country down! Your words here last 24 hours are full of hate and judgements, and you want us to respect your opinions, and get uplifted to continue our fight, or you want to put our lights out? Thank you,you said a lot what was on my mind. My guess is that they each get some hours of community service – that means – go a place decided by the authorities for their working hours – and then home. The minimum hours is set to 30 and may be set up to 400. This community service will have no influence on the parents daily care and they have a lot of family members close. The other possibility is a suspended sentence – they shall now cooperate with the CPS with the help measures about to be given – I’m sure the court will have a more than reasonable eye on that process as the most important one and not drain the parents for further strength. One more thing I would recommend the B’s -. join a close by Norwegian pentacostal church. If you had been a member a year ago the local church would have been one of the closest these privious months. Join the locals – don’t be an island. I hope, as you say, that an instance of community service won`t be too tough on them, although I believe that they already have been doing more than enough of what one should expect from parents with 5 little children…. I don`t have the impression that the Bodnarius are an island in their local community. I don`t see where you get it from, Knut, that they are not joining a local congregation. Quite on the contrary, they seem to be very well integrated into their whole local community be it school, work etc. Jamie Garcia: so your daughters don’t respect you at all, if you need to spank them to be obedient? They are just afraid of you, so of course they are obedient. There is a big difference between listening to your parents because you are afraid of them, or listening to your parents because you respect them and don’t want to upset them, or because your parents explained the consequences of your actions. I never spanked my children because I love them and RESPECT them, and they behave well because they love me and RESPECT me. Fantastic pictures of a lovely family!!!! Thanks for sharing Octavian! Looks like Barnevernet has had the Bodnariu family targeted for some time… Last year, this Child Poaching System went after the kids. (After all, this evil system desperately needs children to supply the demand.) The system may have lost the battle but it has not abandoned the idea of getting those kids back. The above article indicates that the system has changed its modus operandi, and it’s now going after the parents. If it can succeed at prosecuting the parents – and having them removed, then they’ll go straight for the kids again, under the excuse that the kids are too small to look after themselves. One thing is for certain, though. Barnevernet continues to be a wolf in sheep’s clothing. It’s “all about the family” on the outside, but its behavior of poaching children remains as brutal as it has ever been before. Trine, you are right. I don’t know you, your life, your struggles, nor do I know any other Norwegian people personally. I took all my frustration and anger out on the wrong person(s) and in the worst, most unchristian way possible. I apologize. If I could take all my hurtful words back, I would… but it’s too late. The damage has been done. Both Bodnariu parents are charged according to the same paragraphs, which open for imprisonment up to 6 years. This means that the lawyer who has been appointed by the authorities to represent the children will on their behalf demand monetary compensation from the parents. There are signs, then, that the case against the parents will be conducted with some harshness. I see a couple of probably new readers here who have not followed the case, and who therefore think the police and prosecution are only now starting to make a case. This is not so. There has been a criminal case brewing all along. As I have explained in some comments to earlier postings on DiT, the criminal case for having done something illegal in punishing the children physically is all the time a separate case from the child protection case; the latter is more of a civil case, (although it has elements like criminal procedure since it is a procedure run by the authorities against the parents). The fact that the charge in the criminal case has not come before now, may be because the authorities wanted to see how the child protection case went first, but it is actually equally likely that it has taken so long because the judicial system works way to slowly; this is general, unfortunately. 1. Does the Norwegian police work hand in hand with Barnevernet? 2. Could it be possible that Barnevernet takes control of the police, when it comes to child protection? 3. It was determined that there was no violence at all in the family, only a misunderstanding of the term “violence”. The children were released to the family, and rightly so, because they should not have been taken away in the first place. The judicial system believed that it was safe for the children to return home – and it is safe. Why is the judicial system going back, believing that the parents are “criminals” and wanting to start another investigation? Shouldn’t that process have been done BEFORE the children were released back to the family? And wasn’t that process already been done and concluded with, and determined that the family was/is safe and suitable to raise the children? We heard some months ago that the Romanian leader of a kindergarten in Norway, George Alexander, was writing a book. Now it seems to be published, in Romanian. Let us hope there will be both an English and a Norwegian translation! which seems to mean “Our children in their prisons – stolen by Barnevernet”. Does it? That is correct, Marianne. The book has been out for a month or two, and I believe that as funds accumulate it will be translated in English. There is talk that a major publisher might pick it up… will see. Norwegian media now tells that the parents have informed that the family won’t return to Norway – to live, but the father’s lawyer says that the parents will return for the coming trial according to the criminal law § 282. They say the summer has been good for the family and that they can’t cope with the presence of any CPS in their life – they will stay further in Romenia. That’s understandable and maybe the best for the family – let’s hope they don’t use to much violence on their children for the future. They have never used any violence on their children, Knut. Barnevernet has been terrorising this family long enough.It is time they can live in peace and freedom again. Obviously and sadly, Norway won`t leave them in peace if they stay. I would have done exactly the same as them,to leave the country. With all my heart I wish them the Lord`s blessing and protection over their lives. And I hope and pray that the other families who are being terrorised in Norway will also get their peace soon. It bothers me too, Hildi, when people keep using the term domestic violence or violence in the Bodnariu case. Light spanking like padding the child’s bottom as discipline is not violence by any means. The issue is a bit unclear. What is clear is that the children will never return to Norway. Someone told me that the father is the abuser and that the prosecutors claims he has been violated the law for more than 5 years-continuously. He has been hitting them for more than 5 years! And the wife had no influence. If this is true,how does the future look for these children? That is ridiculous. Where is the evidence for this hearsay? “Someone told me…” — sounds like gossip. I would not trust from here. Are you the same as topsy above? Not important, just curious. Light paddling that leaves no marks is called “abuse,” “violence,” or “domestic violence.” This is a clear misuse of the English language. Just above, Hildi and Delight have made the common sense and obvious conclusion about this case. When no marks are left on the children, I can’t imagine how any of these terms are used. A family of seven was almost split six ways because………..? “There is a law in Norway,” you say. “Spank your child and you are in trouble,” you say. Does the severity of the spanking determine the punishment? “Every case is different,” you say. Of course, every case is different. I repeat my last question. “Uh, I haven’t quite figured it out yet because similar cases are treated differently. But, I trust that our psychologists are getting it right,” you say. “See, I told you, our government funded Barnevernet and our psychologists and social scientists know what they are doing,” you say. Define “harm” as it is used above. “You’ll have to ask our Barnevernet about the definition of “harm” but I know they are getting better at their jobs because the number of children in foster homes continues to increase,” you say. And there is an international treaty that Norway has ratified, that provides boundaries for Norwegian laws and also their interpretation. Maybe the problem is with Norwegian laws that contradict to international treaties on human rights — but perhaps there is only a problem how Norwegian laws are actually interpreted against human rights in Norway. The Barnevernet in Norway pays no attention to an international treaty that has good human rights laws. I’m not well read on international human rights laws but my opinion is that the Barnevernet isn’t interested in interpreting any laws favorably unless they agree with BV philosophies. I mean Barnevernet seems to have a blinkered view on Norwegian Child Welfare Act. Why care about international law on human rights, and why care about Constitution of Norway? They might think it was a superflous hassle for them — but in that case they are terribly wrong. It seems that the Barnevernet picks and chooses which laws it wants to follow or not. They are overly strict (to put it mildly) about following the “violence” laws at times but other laws that go against a desired action, even if it is laws the government has committed to follow, are completely ignored. This is more or less OK from an administrative body. – the courts (I mean District Court and abobe as County Board is still an administrative body) also do the same. That is unacceptable in a democracy that courts ignore fundamental human rights and let them be overridden by detailed laws. That is a rootkit for democracy that could let a totalitarian regime to be built up and all the ugly things known from history. – the legal remedy up to District Court is (the first juridical level) is extremely slow for a democracy against an emergency care order. As every country on this planet,we follow the law where u are at the moment. Thereby; the human rights laws are second hand. It is that easy if u study and read! Here I guess either I misintpret you or you are completely wrong, Topsy. Human right treaties are also rules for lawmakers. Once laws violate human rights, they are controversial to the constitution and should not be executed — to the extent they clash with human rights. Human right laws are also rules over what normal law is allowed or not allowed to rule. If Barnevernet expected to take custody of the children after criminal proceedings they had false hopes. Children are not subject to Norwegian Child Welfare Act any more. If this is the situation in Norway, I think most parents, who are fortunate to raise their own children, must be indicted for violence against their children! Because can any of you, Norwegian parents,s say that you never ever have given a hard touch, or pulled a screeming, tubborn child in the arm? Ever? If Skånland is right, I hope the media, worldwide, will be present in court, to learn what violence means in Norway. By the way; I recently came across an information leflet from Barnevernet telling that violence, both physically and psychologically, is very common in Norway. And that even shouting to your child can be very harmful, because it reflects your disrespect for your child. I finish with a short question, how many decibels do you Norwegians think a vulnerable Norwegian child can bear without being harmed? It would be OK to interpret the slightest physical discipline, as long as there were due processes and proportionate measures. In the Bodnariu case, in my humble opinion a financial penalty of NOK 100 or something like that could be proportionate. May God comfort the Silaghi family in this time of need. Our prayers and thoughts are with the entire family. I am sorry that the following is in Norwegian. But I wrote the following today in a Norwegian site but thought I could post it here too especially for those who know Norwegian. Basically it is about about a TV program which came in Norway in 2010 about a Norwegian/ Austrian family who got in deep trouble with Barnevernet because they had problems with one of their girls and contacted their doctor which in turn contacted Barnevernet. Without really going into the matter, they concluded that the parents were to blame and decided to take the girl away and place her in fostercare. When they got the message they were completely shocked and it wasn`t long till they escaped to Austria where the mother was from. The specialists there pretty quickly found out that she had Asperger Syndrome which explained everything. She got all the professional help she needed in Austria. When they told Barnevernet about the girls diagnosis and that that would explain all the problems they had, Barnevernet still thought they had done everything correctly. This shows how unprofessional, inhumane and what total lack of empathy Barnevernet has. Families have to flee the country away from Barnevernet to protect their child/ children from harm . We really have to continue the fight! Injustice is being done to too many parents and children. Those who are supposed to protect children from harm are the ones who in many cases are inflicting great harm on them! Det var i 2010 at foreldrene mine ringte meg i Sveits etter at de hadde sett dette programmet. Vi hadde vært på familieferie i Norge den sommeren og vår yngste datter hadde vært veldig vanskelig. Helt siden hun var liten la vi merke til at hun var annerledes enn søskenene sine. Hver gang det skjedde en forandring i forhold til det som var planlagt eller i forhold til det hun var vant til eller ville, kunne hun fort bli veldig utagerende. Det kunne ofte bli direkte farlig det hun fant på i slike situasjoner. Derfor hadde vi en stund før dette fått spesialister til å hjelpe oss til å takle situasjonen med henne. De hadde vært veldig flinke med å gi oss god hjelp. Aldri var det noe som helst snakk om at vi var dårlige foreldre. Vi ble møtt med forståelse, respekt og hjelpen vi fikk hjalp oss godt på vei. Dattera vår fikk hjelp fra forskjellige instanser og vi var til samtaler og hadde også godt sammarbeid med lærerne ved skolen hun gikk på. Men den sommeren for 6 år siden ,da vi var på ferie i Norge, eskalerte det hele. Jeg hadde blitt tante og barna hadde fått sitt første søskenbarn i Norge. Vi ville jo selvfølgelig besøke og se denne nye lille babyen. Men det ble ikke helt som vi tenkte. Gjennom hele bilturen protesterte hun heftig på å se babyen. Mens de tre andre barna gledet seg, snakket hun bare stygt om den lille jenta som hun aldri hadde sett. Vi trodde at det kom til å bli bedre først hun fikk sett tante og onkel. Men da vi sto ved døra ble det bare enda verre og hun begynte å slå oss. Det endte med at mannen min måtte sitte med dattera vår i bilen mens jeg var inni huset sammen med de andre barna som gledet seg over å se søskenbarnet sitt. Selv om dette var den verste situasjonen den sommeren, var det flere ganger vi måtte tenke over hvordan vi best kunne trygge situasjonen i flere tilfeller. Foreldrene mine og besteforeldrene til barna fikk oppleve dette på nært hold og det bekymret og opptok oss alle. Vi fikk god hjelp igjen da vi var tilbake I Sveits. Men det var etter at foreldrene mine hadde sett dette programmet , at vi for første gang fikk høre om Asperger syndrom. De hadde gjenkjent dattera vår på flere områder da de såg jenta i programmet som hadde fått diagnosen Asperger. Vi begynte å lese over alt vi kunne finne om Asperger, og vi kjente igjen veldig mange typiske aspekter av Asperger i dattera vår. Blant annet har hun en særinteresse når det gjelder rutetabeller, bursdager og priser. Helt siden hun var bitte liten lærte hun alt slikt utenat. Alle var overasket over nøyaktigheten hennes. Det er også greit å ha slike som kan slikt i familien. Men noen ganger blir hun også utagerende hvis hun merker at noen holder på å ikke rekke bussen for eksempel. Da vi kom tilbake til Sveits etter den sommeren fikk vi god hjelp igjen. Vi nevnte Asperger. Men de ville ikke gjøre noen stor undersøkelse av denne. De var opptatt av å gi henne hjelpen hun trengte, og den måtte være individuell tilpasset om det skulle vise seg at hun hadde den diagnosen eller ikke. Vi har lært oss hvordan vi skal omgåes henne på en best mulig måte. Alle tre søskenene har også utviklet veldig gode måter til å takle henne slik at alle trives og har det godt sammen. Nettopp for slike barn, som faller litt utenom det vanlige, er familien så viktig. Når jeg nå ser denne dokumentaren igjen gjør det meg så sint og lei av å se hva familier i Norge kan bli utsatt for når de har et barn som har lignende problemer og kommer i kontakt med barnevernet. I programmet får vi høre at foreldrene ble fratatt omsorgen til jenta. Siden mora er fra Østerrike, tok hun med seg alle barna og flyktet tilbake til Østerrike. Faren ble igjen I Norge p.g.a jobben. I Østerrike ble hun diagnostisert med Asperger og fikk den hjelpen hun trengte. De såg ut til å ha det veldig fint i Østerrike. Det var ikke på tale å frata foreldrene omsorgen der. Tilbake i Norge ville ikke barnevernet komme meg noe unnskyldning. For i deres øyne hadde de gjort alt rett. Jenta hadde problemer i hjemmet og da var det jo bare å få henne bort og plassert i en annen familie…… Spørsmålet mitt blir da – Hadde en annen familie kunnet være bedre for henne enn hennes egen? Mitt svar på det er definitiv nei!! Det ville bare blitt verre. I tillegg ville hun sikkert endt opp som en kasteball fra en familie til neste familie hele veien og skape utrygghet og forverre situasjonen hennes. Jeg grøsser ved tanken på hva som skjer med barn i Norge som faller litt utenom det vanlige og som kommer i kontakt med barnevernet. Barnevernet har, i dette tilfellet, og i så mange tilfeller bevist sin inkompetanse og umenneskelig handling. Ja, de kan i noen tilfeller, som i denne og også i tilfellet i Fam. Bodnariu være en direkte fare for barnet. I slike tilfeller blir det eneste kloke å flykte fra landet, vekk fra barnevernet- til barnets beste! This completely fits what I have said before: Barnevernet has an a priori assumption that any issue with a child may only occur due to parent’s fault. Grieving loss of a grandma (like in Nikola Rybka’s case) or Asperger Syndrome (this case) … etc (I bet there are many many cases). Who cares? Barnevernet blames even symptoms of the trauma they have caused by superfluous emergency care orders on the parents. On the contrary, Hildi, the mother very stubbornly for a long time refused to believe anything wrong could be part of Norwegian social-democracy. In the last minute before the case came up, she yielded to facts and they managed to get the girl out of the country. The mother also refused to understand that the two younger children were likely next targets. But that mother was not so special. No end of people keep saying “But such-and-such MUST be the case” and “Barnevernet cannot avoid listening to A / B / C” (A, B, C being medical establishments, BUP, or whatever), and “Barnevernet broke the law when they did such-and-such, so the court will condemn them”, or “We will go to the press if they do not return our children pronto”. You can guess whether any of this has effect. 1. many cases going to Strasbourg — according to http://www.barnefjern.org it is the case now. In a year or two let’s see what ECHR says. The story might get unsustainable for the government of Norway, and with Barnevernet being on the table at European Parliament and in Parliamentary Assembly of Council of Europe I guess it is already uncomfortable for the government. 2. If Norwegian voters get fed up with Barnevernet and politicians supporting the system. This might be a huge opportunity for a new party into Norwegian politics… I pray for De Kristne to gain voters. You have shared a very sad case indeed, and it is reported to have happened in the city in which I live. All countries have cases like this and these criminals should be prosecuted to the fullest measure in my opinion. It is on page 18 with a pie chart. Or you can look at xiii in the summary. It is an easy to read chart. So, there were 3.8 million reports from which only 17.7% were substantiated. Most people who read the article you have posted here might think that 3.8 or 3.4 million children are abused. They should have included the information I easily found on page 18 of the report. Maybe if the Washington Post highlighted the word “reports” people would have wondered like I did and looked up the facts of how many were truly considered abused or neglected. In a short article like that, I find the information misleading and perhaps irresponsible. I’ll have to read more of this report but some of the indicators show a 4.2 % decrease in victims between 2008-2012. I didn’t look that hard at the report, but I didn’t find the 80% parent figure. Maybe it is in there somewhere. Am I happy with these numbers? Of course, I an NOT happy with these numbers. One is too many. I am certainly shocked whenever I hear a story like this one. Sadly, abuse cases like this happen everywhere. I have spent time teaching parenting classes to parents who had been reported and who had their children taken from them. As far as I can tell, almost all of the cases that I dealt with should have been dealt with. I can remember one case where I was pretty certain the system had gotten it wrong in a severe way. There were other cases where my supervisor was very concerned that an injustice was being done but it was a small percentage of cases. I was in this client advocate position for five years. Norway has gotten my attention because of number of cases that I am aware of where there is blatant injustice. There was one case like the cases I’m reading about in Norway in my county last year. It received a great deal of press because of the injustice of the case and the children were returned to the children because of due process. The press in Norway seems to ignore the problem in most cases. I understand that America does not have a perfect CPS system by far. At the same time, I never observed the philosophies that are obvious in Norway. In America, the goal is reunification in nearly all of the cases with which I became familiar. Reunification was only denied when there was a story like this evil one posted by the Washington Post. It had to be real abuse, not some psychological theory about how the parent might react in the future. The Norwegian system is quite strange. I am like Hildi. I cannot remain silent about it. I think most would have figured this out a few paragraphs above. It is on page 62 and 63 and, I admit, it seems quite high. For parents that are guilty of abuse, I believe the punishment should fit the crime in severity. So, I think I found the 80% number and it appears correct. – average time in foster care among reunified children. Absolute numbers are not really comparable due to the basis (number of children) can be very different. Single crazy cases can happen anywhere unfortunately, they do not necessary mean a system level failure — so I guess you cited the article only for the sake of quoting the statisctics, right? Yes, Jasper. I wanted to show that the article above is very misleading as it seems that there are at least four times more victims of neglect or abuse in America than there really are. This is so true, Jasper. I have to add that governmental system failures usually point to societal failures of some kind. I would be the first to say that we continue to see moral failures increasing in America. An example is the outright lack of honesty even at the highest levels of society. America is not as “progressive” (not a favorable term in my view) as the Nordic countries and the U.K. in many ways but the U.S. can be considered a violent society compared to some, I think. You can find many of the statistics you have asked for at the link I have shared. Please let me know if you find anything that sticks out to you there. I had a quick look at the report you linked. 2. Your report tries to identify victims and non-victims. This approach seems to be completely missing on the Norwegian side unfortunately. Your points are well-taken, Jasper. Did you notice how much more specific and informative the American reports were? With all of the money that is spent on the Barnevernet, one would think the statistics would have more elaboration. Your point #2 is an example. I know this is one state and the man responsible for writing the statement above in an active lawyer who criticizes the BV. I don’t think he has any reason to lie and I find the information informative. In fact, after looking at the stats in his state alone, I don’t know how he could have any other opinion about the BV. Also, I would be very surprised if the BV follows the recommended course of the Council of Europe. I think it would be to damning to publish. Wow, this account has gone viral, daniel solheim. It has gone viral on facebook and who knows where else. I saw share after share after share. A story like this should get attention and these two abusers should get the maximum sentence. The media is very involved in many of the reports. Why are there so few (almost none that I can think of) reactions like this when a baby is stolen from its Mother in Norway? It hurts!! But this is the truth. It is Global! Norways society is an totalitarian and Orwelian society. If you are not perfekt to your fingertips, society will come and get you and destroy you. really?! I am far away from being perfect, but still, here I am. So what makes you believe Barnevernet is so good that it doesn`t need to be critisized, Daniel Solheim? Are you working for them? Do u need 2 work for barnevernet 2 defend your country? Approx.28000 works in CPS in Norway,we are 5 million inhibitants. The rest have our own voice. There is unquestionable a large number of good normal parents in Norway who have had their children taken away from them without any valid reason. I will and cannot stay silent about it! Many have suggested that families with case at Barnevernet have no freedom of expression. There is a fresh case and evidence about such a claim. – such a revenge is a violation of right to family, as it is not necessary in a democratic society to intervene to stop freedom of expression. Beautiful worship by The Bodnariu family! 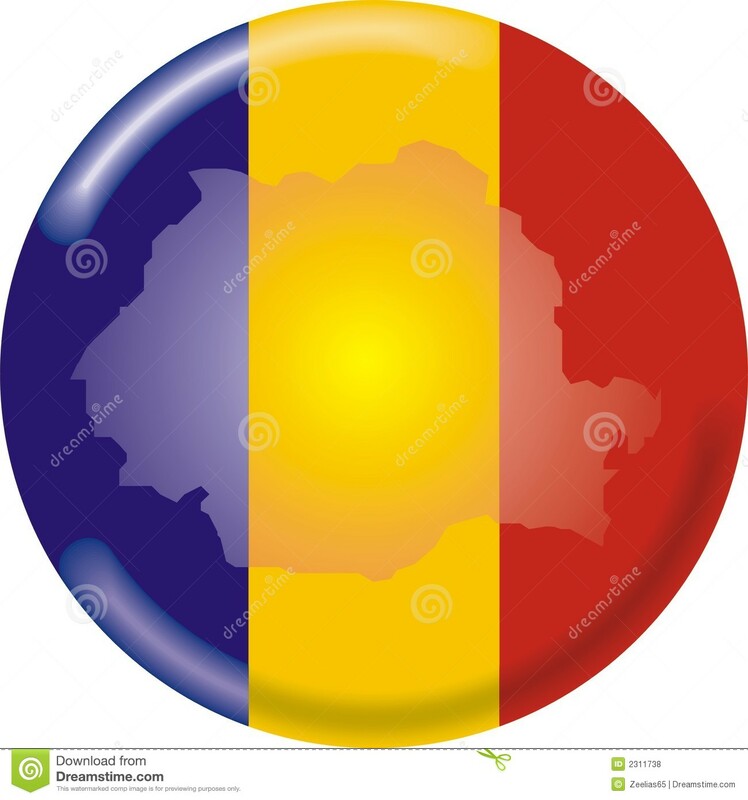 This seems to be a repost of http://bodnariufamily.org/articles/report-bodnariu-case-approved-parliamentary-assembly-council-europe/ from 2nd of June. As far as I know it was discussed in a committee early June (or perhaps late May) and the committee has given a green light to a draft report to be prepared, for discussion in the Parliamentary Assembly of Council of Europe. Pity about that last sentence, because, again, it is not a correct understanding of the figures. 53,000 children received some sort of “help” in a particular year. Some of them also received “help” the year(s) before, some are new. During that same year 9000 were in care. But far from all these 9000 are new in care, only between 1000 and 2000. As far as I see you are right about the 53000 (at least the Central Statistics Bureou of Norway has the same interpretation). However number of notifications sent to child welfare in the year and number in children in care are very close to each others in numbers). It seems that proportion of placement outside home is increasing among any new decisions on whatever measures. I would recommend the county to start supervision by checking compliance with regulations on declaring bias first. Both in the Bodnariu and in the Morten Bakke case. – before ceasing visitation rights in the Morten Bakke case. @Norwegian speakers: could you help me, what Bjarte Gangeskar tells about critiques, and especially about the critique by Einar Salvesen? Here is an article which does not relate to Barnevernet at all. But it discusses some facts about Norwegian culture which go far to explain why Norwegian authorites act as they do in Barnevern cases too, and perhaps especially in connection with families from other nations. The article also points out that these facts are not the existence of an establishment with political power which is isolated from and hostile to its subjects, they are important and deep-rooted attitudes in the population itself. That is not at all to say that they are admirable attitudes. Nor, in my opinion, has the picture improved to any extent in the 20 years which have passed since the article was originally published. I hope the reader feels that it throws light on the way Norway “handles” questions and cases of child protection. I simply cannot understand the prosecutor referring to not taken phone calls. I guess they sent the subpoena to their Norwegian address. The prosecution does not seem to know, or make out they do not know, that the Bodnarius are not in Norway currently, and no longer live in Norway. “– Vi skal prøve å få beramma saka på eit seinare tidspunkt, seier politiadvokat Kleiven til Firda. Avisa spør om det er fare for at saka ikkje vert handsama. (– We shall try to fix a later time for the case, says police lawyer Kleiven (the prosecutor) to (the newspaper) Firda. The paper asks if there is any danger of the case not being processed. This is the responsibility of the court from this point. IF the court goes on with domestic subpoena, however publicly known the Bodnarius are abroad should make the whole first instance proceeding to be declared null and void and to be repeated from scratch, in any country who claims to be a democracy with rule of law. Some newspapers etc which have mentioned the Bodnarius not attending, are quite sensorious. Fri Fagbevegelse (union-based) says they “played truants/hookey”. To NRK in Sogn og Fjordane some people say that if they do not turn up the next time, Norway can apply for extradition and put them in custody (prison). It would be quite interesting if Norway tried that. We would then see if Romanian authorities were resolute and just said “No way”. Let us hope so. But of course I wouldn’t wish it on the Bodnariu family that such a thing were even attempted by Norway. The burden on them must be exhausting. The barnevernet is always good, its parties are always wrong approach. The usual political-ideological propaganda, hopefully obvious for more and more Norwegian readers. The Bodnariu case has been sent to the European Court of Human Rights. It seems to me very good that the case has been sent to Strasbourg, and that apparently a London-based lawyer is managing it. The only curious thing in the article is that it says that the Bodnariu case is one of the 8 due to be taken up by the court (expected this spring, actually). Usually, a case takes several years to get through all the preliminary processing before it reaches the actual court precess and conclusion (sentencing). So my guess is that either Strasbourg has made Norwegian Barnevern into an unusually urgent issue, and has included this case because there already are several going to process in the Court this spring, or else the newspaper is mistaken. There are of course at any time a number of cases having been sent to Strasbourg and in various stages of consideration there. Norwegian press people do not always understand that such cases are not unusual. Back in the 1990s a case took something like 6 years to get through, and there were about 100,000 cases waiting in the pipeline, 25,000 of them against Russia. And there is no reason to believe it is radically better now, EXCEPT if Strasbourg rejects far, far more cases immediately and just refers to the case law. Any member state of the Council of Europe is expected to be decent and apply case law (previous decisions of the Court), whatever country was found guilty of some violation, to themselves, and NOT carry out similar offences. In practice, the countries tend to do all they can to define away any judgment’s applicability to whatever the state wants to do. Norway certainly reasons like this again and again. “The Child Protection Service (CPS) – unfortunately the cause of grievous harm – 2” (case (a). In most cases it takes several years to go to Strasbourg because you need to exhaust domestic legal remedy options first… (unless a state, a fellow member of Council of Europe is directly behind the lawsuit). No, it is not only that. It usually takes years even after one has exhausted internal remedies. The Court asks for further information, then comments from both parties; this can go on for quite some time. Previous paragraphs in Siv’s article describe how much work must go into preparing this first complaing, if one is to have a chance of having the case found “admissible” and not turned down right away. Although this information is very discouraging, Marianne, it is good to know what those like us are up against. A five-six year wait is enough to cause many to throw in the towel I would think, particularly since there seems to be no practical reason to pursue the Strasbourg avenue. At least we know that those who have tried and been successful still have seen little results from their labor. That knowledge gives us an idea, I think, of why the Barnevernet feels invincible enough to try and ruin a family like the Bodnarius. The lack of punishing correction for crimes which will force the Barnevernet to amend its ways is, in the end, going to be cause its downfall. Their hubris will, in the end be corrected because we “reap what we sow.” Whether that happens in this world or the in the judgment of God that is coming on those who use their power for evil remains to be seen. Each individual responsible for taking part in such crimes will have to answer to God. My opinion has been and continues to be that since Christianity has been gradually declining in countries where it used to be a great beacon of morality, the lack of concern about what Jesus said has allowed Barnevernet type situations. Christianity in America has been fading at least since the 1920s and I think (based on polls I have read) that the situation is worse in Norway. How so many “christians” (in name only I believe) can ignore the situation is so tragic. The three visits that many Norwegians make to church in their lives: their baptism, marriage, and funeral will not save them. Those who attend church regularly and refuse to speak out against causing children “to stumble” will not be saved unless they repent. Repentance (sincere regret or remorse) results in actions and change of behavior. How can anyone with any of these fruits look the other way when children are being stolen from their parents? I don’t think it is possible. It is not easy to prove that the court jugdements had been partial and dependent, instead of being impartial and independent. There are some communicated cases in process where I hope such questions could get admitted to Strasbourg. Best wishes for the families behind the cases! The little I know about the Kurds has given me a respect for their ability to survive. And here they are thinking about the long term with representatives in London and no false illusions about support from anyone so they have started from scratch on their own. They must be a very resourceful bunch. I guess every angle must be pursued no matter what discouragement persists in the process. I will pray that God will raise up those who will continue this very difficult fight for family life, a unit ordained by God, so that the necessary changes will eventually be made. Thank you for keeping us up to date on the latest, Marianne. I can only hope that parents in families torn apart (by an emergency care going on for example) do not need to sign a contract on visitation homes to see their children. Seeing own children during an emergency care is part of fundamental right to family! Norwegian Child Welfare services seem to restrict this fundamental right to an unnecessary extent anyway. my apologies, my comment went to the wrong place. Repeating it at the right place. 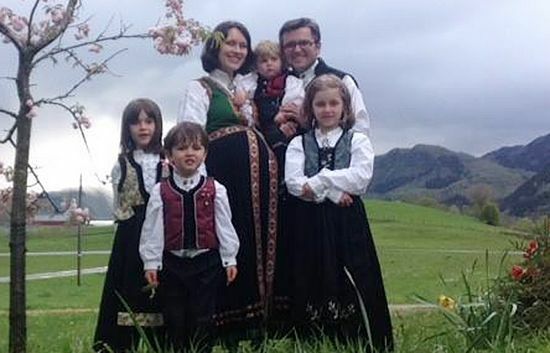 I wonder what is going on with the Mortensbakke family — who had been denied visitation rights by barnevernet in Naustdal after joining protests related to the Bodnariu family. “The CPS of Naustdal is criticised. The County Governor has concluded that the CPS in the time from October 2015 until May 2016 have not followed up on the children in accordance with the law of child protection §4-5. “The County Governor opened an inspection case because they were worried lest the termination of the visitation home could lead to the children not getting the help they needed. Sæbø writes that “The CPS has the authority to make administrative decisions to follow up a particular decision about help according to the CPS law. When the CPS has made a decision about a visitation home for a child, the decision about who is going to be visitation home is an example of such an administrative decision. The engagement between the CPS and the visitation home is a contract according to ‘private law’. Barnevernet can offer or order such visitation arrangements for a child living at home with its family or to a child living in a foster home. When the child visiting is living in its parents’ home, Barnevernet’s motive is to get the child away from its home, at least for periods, by either making the child prefer the visitation home (interpreted to mean it does not care for its parents or its own home – it is supposed to be “stimularing” to the child and teach the child social skills and “attachment”, implicitly: the child, according to Barnevernet, does not get this in its own home). Or Barnevernet wants to have the visitation family question the child somewhat surreptitiously about conditions in its parents’ home, suggest to the child that it might be wonderful to live somewhere else, and write down anything the child says or answers which may be of use to Barnevernet, thus preparing for a case of take-over of custody by Barnevernet. When visitation takes place from a foster home, it is most likely that the foster parents feel the child to be such a burden that they want relief by sending the child somewhere else at intervals, or that the child seems so dissatisfied and “difficult” that Barnevernet hopes it will be “stimulated” by experiencing this. Or both motives can be present – or something else; heaven knows what Barnevernet secretly figures out. Lack of visitation home must not be a reason for withdrawing visitation rights. That would mean making a fundamental right a subject to a contract by someone else — a blatant violation of human rights. It has been tried many times. Marianne, do you know about specific examples? It could be worth to check the reasoning by the applicant, the Norwegian Government and the court itself — with the purpose of better understaning how to express concerns about state intervention to right to family to an extent unnecessary in a democratic society. I wonder what the text “The applicant further relies on Articles 8, 6, 10 and 13 of the Convention and complains that the domestic procedures were lengthy and unfair” could refer to in communicated case Hernehult vs. Norway, I am looking forward the judgement in this case. I have known several cases in which the lack of adequate visitation permission and facilitation was complained of, but they are cases which were not admitted by Strasbourg, or in which this particular issue was not central. The denial of visitation has been an element in several of the cps cases against Sweden at the ECtHR that I know fairly well. Sweden has always been vicious on that score. Here is a completely fresh Strasbourg judgment re a divorced/separated father’s rights to be with his daughter. The judgment is good. But the contries are cynical about letting such judgments guide their practice. Especially points 50-54 of the judgement on Improta vs. Italy can be important. Altough this is about the mother unilaterally restricting access to father, the issue is almost the same for biological parents against foster parents and/or child welfare about visitations. For what I have read I would say Norwegian courts often tolerate to restrict visitation rights in a crazy manner for no good reason. Usually the reason is for further eliminating access that the child cries after visits — with no one asking the child what is the problem. I guess in many cases it is hard for a child to bear to see the parents for a short time and then not being allowed to see them for a long time — which is often misinterpreted as an evidence of past violence. Agree absolutely about Jasper’s points here. Of course I lay myself open to attack when I comment on legal judgments in this manner. But I have decided simply to put up with any exposure that might come of things I may not have understood or may have overlooked. So be it, because there are too few articles by lawyers/jurists about matters I find interesting. Norway is the world largest child kidnappers. This people should go to jail for a long time. Norway is a Nazi country who let this sick barnevern kidnappers kidnap children. As the child fled on her own to Swedish soil, I do not see what is the basis of the judgement… The judgement sounds like me a violation of the daughter’s freedoms, including her right for her father. I hope the judgement gets brought to Strasbourg on the behalf of the daughter 🙂 That could make most sense. An interesting recent article from Norwegian newspaper IDAG, interviewing Romanian politicians, both members of the Parliamentary Assembliy of Council of Europe, one of them is the rapporteur for investigations of Norwegian Child Welfare for the Parliamentary Assembly of Council of Europe.